Best friends and fellow midwesterners Katie, Annie, Maxine, and Claudia are no strangers to dealing with love and relationships, but with online dating and social networking now in the mix, they all have the feeling they’re not in Kansas anymore. Katie, a divorced mother of two, secretly seeks companionship through the Internet only to discover that the rules of the dating game have drastically changed. Annie, a high-powered East Coast transplant, longs for a baby, yet her online search for a sperm donor is not as easy—or anonymous—as she anticipates. Maxine, a successful artist with a seemingly perfect husband, turns to celebrity gossip sites to distract herself from her less-than-ideal marriage. And Claudia, tired of her husband’s obsession with Facebook, finds herself irresistibly drawn to a handsome co-worker. As these women navigate the new highs and lows of the digital age, they each find that their wrong turns lead surprisingly to the right click and, ultimately, the connection they were seeking. 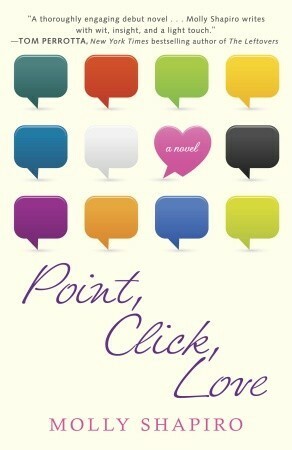 I didn't read the blurb of Point,Click,Love properly before I started on the book so honestly I didn't know much about it when I started reading the book except that it's some kind of chick lit. I have to say, I enjoyed this book. I thought it was a little slow at first and I had assumed that the whole novel followed Kate's story (my bad) but further into the book, I started to really get interested! Point, Click, Love reminded me a bit of the film He's Just Not That Into You. It's about four women - Kate, Maxine, Claudia and Annie - whose lives are linked and each have with their own problems and insecurities. Kate's a recently divorced woman trying to get back to the dating scene, mostly to fulfill her physical needs rather than the emotional ones. Maxine seems to leading the perfect life with the most perfect family to everyone watching from the outside but only she knows how distant her relationship with her husband has become. Claudia is a smart,ambitious,agressive woman married to a guy who'd rather spend his time watching TV and on Facebook than go out and get a job to support his family. Annie's decided that she can't wait for a man to find love and wants to have a baby on her own. All their stories have been influenced by technology in someway or the other. 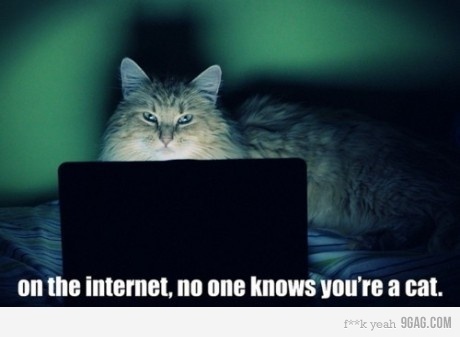 I guess in the present day, the internet, facebook, twitter, text messaging etc. basically rule our lives and we see how it affects these women's lives. "Steve knew all too well the many moods of Claudia. The contemplative Claudia, the boisterous Claudia, the I'm-having-an-existential-crisis Claudia, the I-hate-everyone Claudia,and, most recently, the I-love-everyone Claudia. Yes, she was moody, but Steve was the one person who was able to handle her wild swings. Claudia had always been a 'handful,' as her parents liked to put it. She was outspoken and strong willed and fearless." "None of them seemed to match her temperament." Okay super long quote, sorry but I could relate to Claudia so much that I realized Molly Shapiro's probably based the other three characters on real people with whom some readers could relate to just as much! I loved each of their stories, I liked their characters and little adventures too. I liked how each of their married lives were different and led them down separate paths. I'll admit that the technology part is actually not necessary to make this a good read but it did make the story more entertaining at times (especially with Kate and Claudia). All these ladies seem to rely on the internet for the things that they're looking for in their lives - truth, happiness and even distraction. I do, however, feel that maybe their stories need not have been linked at all. The four of them being friends was a bit unnecessary and didn't contribute to the overall plot in any way - positive or negative. Point, Click, Love is a good, quick read that manages to keep you interested, if not throughout the entire novel,the story of at least one of the characters! For the record, I totally agree. Facebook is evil. It seems kinda overwhelming to me, with so many characters thrown in the mix and I see that you did notice they didn't link up so well huh. I'll remember this book, but wouldn't run to catch it.